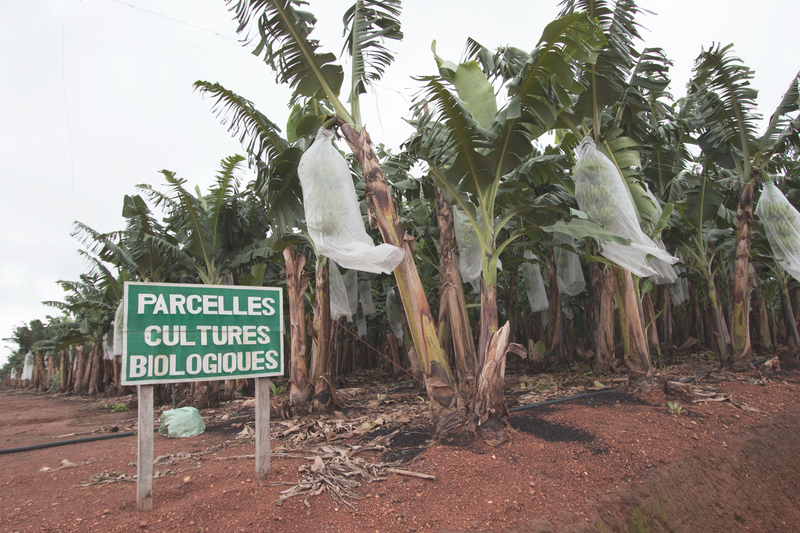 Famed for its unique taste, the SCB banana from Côte d’Ivoire also embodies a model of cultivation that respects people and the environment. The first archaeological evidence of banana cultivation, which was discovered in Papua New Guinea, dates back 7,000 years. At that time, only a few seed varieties proliferated, until their natural crossing gave rise to seedless fruits. Banana cultivation was domesticated over the course of migrations and millennia and spread to the five continents. Whether plantain or dessert, its flavour and prodigious nutritional qualities make it one of the most popular fruits in the world today. It is rich in minerals, fibre, carbohydrates and vitamins and low in fat. Filled with powerful antioxidants – dopamine and vitamin C – it helps maintain the nervous and digestive systems and energy metabolism. Originating from the Cavendish genetic variety (named in honour of the 6th Duke of Devonshire, who introduced the fruit into Europe in the 19th century), the dessert banana is sweet and tender. It also represents 60% of the world’s banana production. In Africa, it is an economic sector in its own right, particularly in Côte d’Ivoire, Cameroon and Ghana. Côte d’Ivoire, the leading African producer, produces more than 300,000 tonnes of bananas each year, mainly for the European Union. Appreciated for their intensity and tender flesh, bananas grown on the African continent are reputed to be more fragrant than their Latin American cousins. It’s a question of the soil, but not only that. Soil acidity, sunshine and humidity shape the flavour of the fruit, as do the daily care given to them, the quality of soil drainage and fertilisation. However, transport, ripening in a controlled atmosphere and the growers’ experience also contribute to the development of the taste. 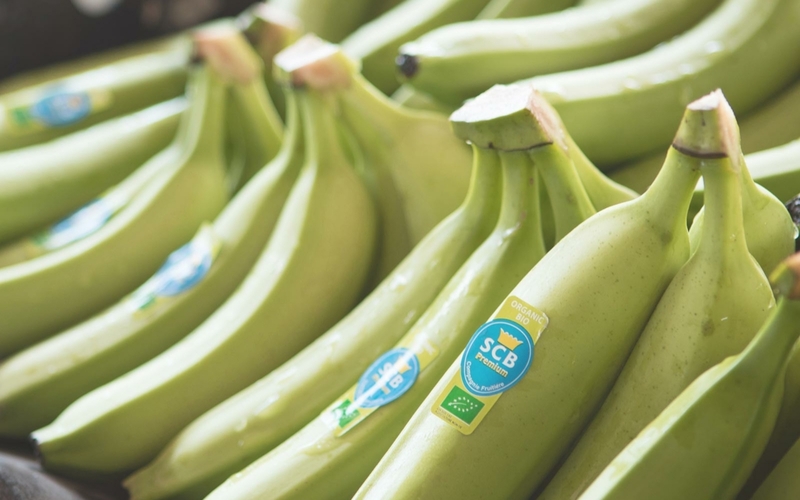 The SCB banana from Côte d’Ivoire which is produced by the Société de Culture Bananière, a Compagnie Fruitière group subsidiary, and which has won the “Flavour of the Year” award for its taste qualities several times, reflects this reality. The SCB, which was established in 1959, was initially made up of a few farmers. Over time, the subsidiary has refined and developed all its agricultural techniques to produce – as consumers say – to “a tasty, tender and fragrant fruit, which surprises by the regularity of its quality”. 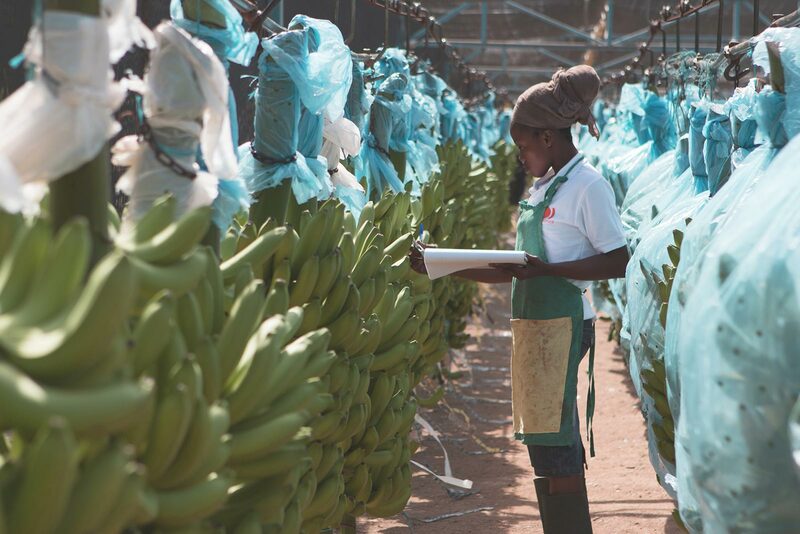 The SCB, which employs more than 6,700 people in Côte d’Ivoire and covers 75% of Ivorian banana production, has also established a unique work ethic in the region. Based on respect for people and the environment, its Social and Environmental Responsibility (SER) policy has transformed the daily lives of its employees and local populations. Thanks to concrete initiatives taken in most areas of daily life, SCB staff and local residents now have access to medical centres, vaccination and information campaigns, housing, schools, vocational training, transport, infrastructure and decent working conditions that reduce the use of pesticides. The SCB has obtained various certifications (ISO 14001 – Global Gap – Sedex – Vigeo – Fair Trade Max Havelaar and Ceres) and is audited each year by independent bodies. Finally, as the leading producer of fair trade and organic bananas in the African Caribbean Pacific (ACP) zone, Compagnie Fruitière is perpetuating its environmental initiatives through a partnership with WWF France. Banana cultivation, a catalyst for ever more virtuous agriculture? 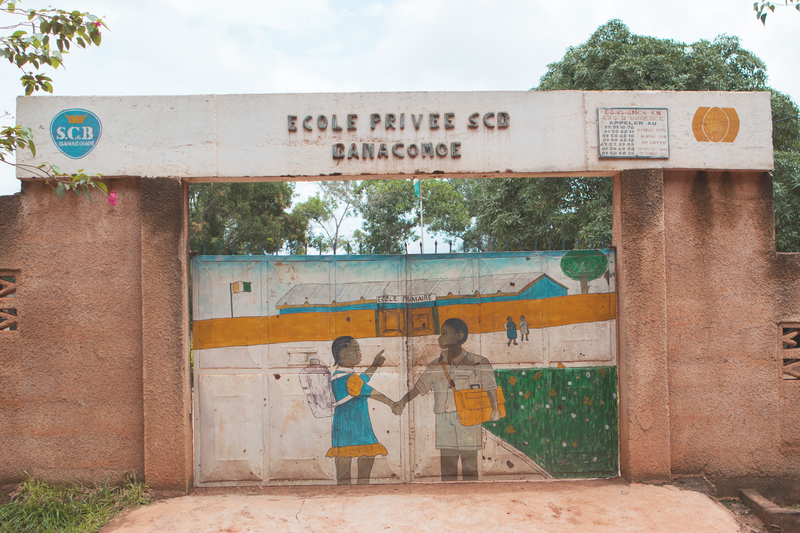 With a ratio of one doctor per 6,000 inhabitants, Côte d’Ivoire is undertaking many health projects to improve its public health system. From low wages to unequal access to healthcare, dilapidated institutions or malaria, Ivorians’ health is still facing structural and societal problems. Most of the Ivorian public hospitals and health establishments were built between the 1960s and 1980s and are no longer in line with demand. Far from major cities, people do not always have access to medical specialties such as radiotherapy or obstetrics, and the lack of vehicles to transport blood, medicines or patients hinders successful care. Finally, the space allocated for families who come to assist their loved ones is often insufficient or even overcrowded. However, some of the measures undertaken have already had positive effects. Thanks to the national effort to fight malaria, one of the major causes of consultation in Côte d’Ivoire, the incidence of the disease has reduced. Although it ranked 5th among the 15 countries most heavily affected by the pandemic in 2010, Côte d’Ivoire now ranks 12th. The government has also built about 100 first-contact health facilities, released doctors’ salaries, hired more than 10,000 health professionals and introduced targeted free healthcare. Finally, the Minister of Health recently announced the possibility of using drones for the emergency transport of medicines and blood. Ivorian agriculture and agri-food activities are the main source of employment, accounting for 60% of the working population. This is an essential aspect which Compagnie Fruitière has been able to take into account since the early 2000s. As part of its Social and Environmental Responsibility (SER) policy, the group has thus introduced access to healthcare and drinking water for all plantation employees, their families and residents within its SCB (Société de Culture Bananière) sectors. Vaccination and information campaigns and prevention and treatment programmes against AIDS and onchocerciasis have been launched. Clinics and maternity wards as well as a mutual health insurance scheme have been set up. 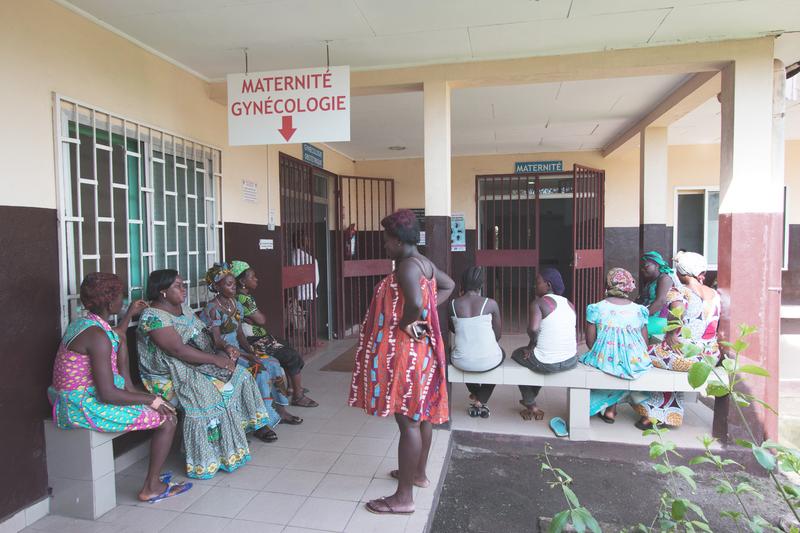 Finally, two hospitals, one located in Cameroon and another in Côte d’Ivoire, were established between 1998 and 2012, thanks to the Compagnie Fruitière Endowment Fund and the Order of Malta. 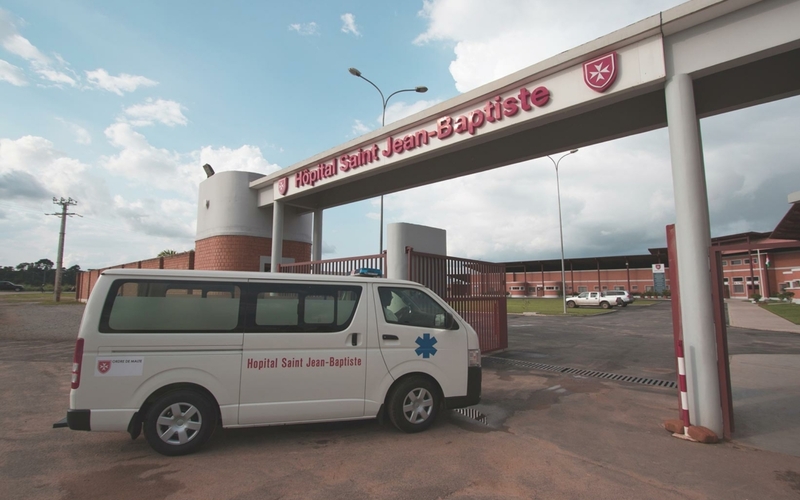 Inspired by the Saint-Jean de Malte Hospital built in 1998 in Njombe, Cameroon, Saint-Jean Baptiste Hospital in Côte d’Ivoire is located in the village of Bodo and will soon have a capacity of 100 beds, open to all. Focusing its efforts on the maternal and child healthcare facility, 550 babies were born in the establishment in 2017. In a country where the maternal mortality rate remains high (614 deaths per 100,000) and where infant mortality before the age of 5 is still 9%, the staff’s mission goes far beyond consultations and obstetric care. Midwives, nurses and gynaecologists transmit good practices related to maternal and child health, thus joining the country’s extensive awareness campaign. At Saint-Jean Baptiste Hospital, patients are informed about the value of ante-natal consultations, the importance of full vaccination of children before the age of one, the use of insecticide-treated mosquito nets, and the benefits of breastfeeding during the first six months of a child’s life. Strategically located on the road between Yamoussoukro and Abidjan, the hospital treats a large number of traffic accidents, thanks in particular to its emergency service and its 24-hour pharmacy. Previously, victims had to go to the emergency room of the Abidjan University Hospital Centre, a two-hour drive from Bodo. With an operating room and various units providing care in surgery, general medicine, paediatrics, gynaecology, obstetrics and emergency medicine, the hospital now employs more than 110 people. Every day, these dedicated employees strive to expand access to health care for the poorest, while improving the daily lives of plantation staff. Organic farming is on the rise and, despite the constraints linked to their production in tropical environments, bananas are following the trend. Driven by general awareness of health and the environment, the organic food market experienced unprecedented growth between 2000 and 2016. Agricultural areas have increased by a factor of 3.3, the number of organic farms by 9.6, and more than a hundred countries currently have regulations in place. The fact is that beyond its impact on soil and consumer health, organic farming is also a tool for managing natural resources, as it promotes food security. Take, for example, the Tigray region of Ethiopia, which used to be regularly hit by food crises. The rehabilitation of one million hectares of organic land has enabled the establishment of food self-sufficiency for 100,000 people and the curbing of deforestation. Tropical fruits such as bananas, avocados and mangoes are not immune to the trend, although their production requires an exceptional combination of heat, humidity and rainfall. Unfortunately, these conditions are also conducive to the development of fungi and parasites that thrive in the tropics from January to December in the absence of winter frost. In conventional farming, the use of fungicides, soil drainage and, for bananas, leaf thinning and protective sleeves protect the fruit from pest attacks and thus satisfy world demand. In organic farming, the situation is becoming more complicated, especially for bananas. No natural treatment is currently able to control the black sigatoka, a fungus that can decimate half a banana plantation in a few days. This is all the more so as the golden fruit is less resistant compared to avocados. In organic farming, this characteristic translates into increased efforts, more care and handling. The avocado tree is a solid tree that is capable of reaching a height of 20 metres and which can survive cold spells up to -1° C depending on the species. Its water requirements range from 1,200 to 1,600 mm annually, and, thanks to its great genetic diversity, it can adapt to various climates, as long as it does not freeze and its soil is drained. Between 2014 and 2015, the production of organic avocados almost tripled, rising from 9% to 24%. As for the banana tree, it is an ephemeral herbaceous plant from 3 to 10 metres high, very sensitive to temperature variations, water-demanding and predisposed to mould. Its fruits are produced when a constant temperature of at least 10°C prevails, the humidity level is high, rainfall reaches at least 3,000 mm/year and the soil is regularly drained. Among its advantages are the facts the plant is perennial and its growth lasts only between 7 and 9 months. Only 1% of the 118 million tonnes of bananas produced each year are organic, which still seems low for the most consumed fruit in the world. 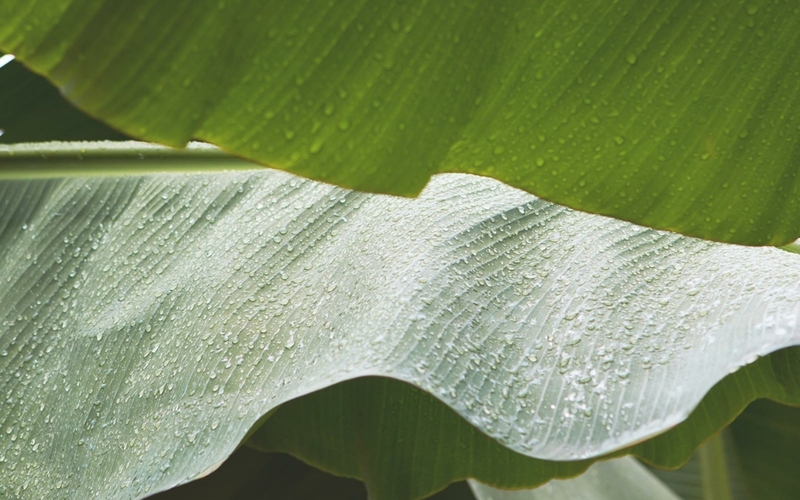 As the leading producer of fair trade and organic bananas in the ACP zone, Compagnie Fruitière recently signed a partnership with WWF France to continue implementing environmental initiatives. The group’s organic banana plantations are thus established in drier environments close to healthy watercourses in northern Côte d’Ivoire and Ghana. There, the banana trees are evenly coated with organic paraffinic oil, which is able to keep parasites away in these latitudes. Farmers use essential oils to fight fungal diseases during the post-harvest period. During growth, compost made from cocoa dehulling waste (the thin bark that surrounds the bean) acts as a natural fertiliser rich in organic minerals. Weeds are controlled by hand weeding or by using a legume cover crop. This permaculture enables the suppression of weeds, reduction of evaporation, provision of more nutrients to banana trees and aeration of the soil, thanks to the deep roots of legumes. 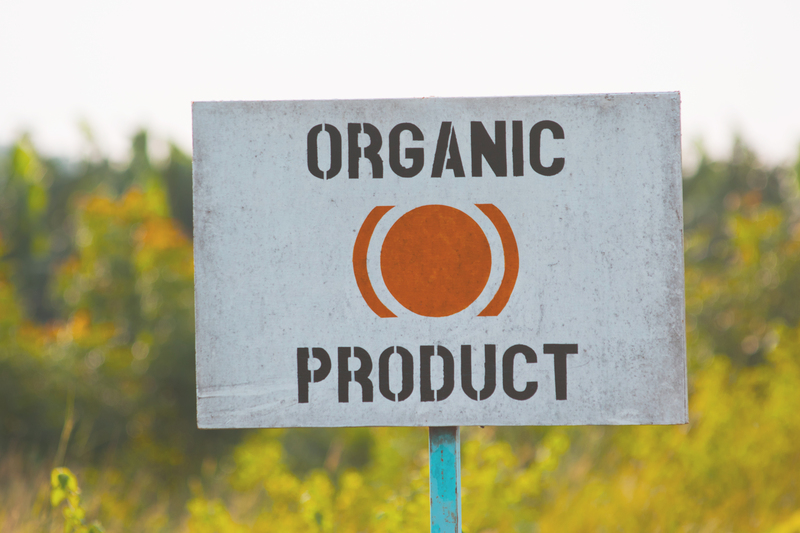 To extend its organic production to other regions of the world and intensify its practice of increasingly virtuous agriculture, the group recently acquired a 150-hectare organic plot in Ecuador, near Guayaquil. 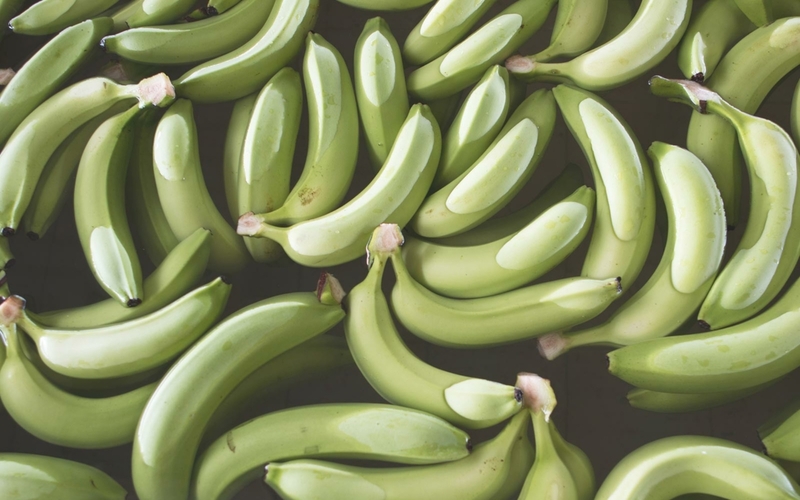 A small country wedged between Colombia and Peru, Ecuador is nevertheless a major banana producing country exporting nearly 6 million tons of bananas each year. It also has the double advantage of a dry climate and a highly qualified workforce trained in the most advanced farming practices. Finally, its exceptional plant diversity can be a source of inspiration concerning natural solutions for producers. To reduce its environmental impact, Compagnie Fruitière will soon adopt two new techniques: natural branding and fully compostable bags. By 2050, production and consumption patterns in the EU will have to be based on the so-called circular economy model. This is a virtuous model that limits the waste of resources and the production of waste by producers, distributors and consumers. There is competition for solutions among the players in the agri-food sector, who are committed to this ecological transition. Natural laser branding, which is being studied by Compagnie Fruitière, is an innovation particularly adapted to the organic sector. Devised by the Spanish start-up Laser Food, this process allows the skin of bananas to be tattooed directly without using ink or denaturing the fruit. The laser simply depigments the skin superficially in order to record the necessary information on it. This technology, applied to all of Compagnie Fruitière’s organic and fair trade banana production, would eliminate more than 2 million plastic bags and as many labels each year. Anticipating the next EU environmental regulations, the group is already positioning itself as a pioneer in environmentally friendly distribution. At the same time, the Innovation department is conducting research into fully compostable packaging bags, bio-sourced bags made of organic matter (corn or potato) and capable of degrading completely in the domestic composter. This technology would facilitate recycling by the end consumer and anticipate the European strategy of eliminating all non-recyclable packaging by 2030. Far from the supermarkets, there are other challenges in Africa’s banana plantations of Africa. There, the bananas are protected from birds, direct sunlight and friction by means of non-recyclable plastic protection sleeves. Total production would drop from 30% to 50% without these protections, which demonstrates their importance. After use, they are then collected and returned to suppliers for re-use or destruction in approved centres. However, a small number of these sleeves can fly into the wild and become dispersed in the region’s fields or waterways. To reduce this risk to a strict minimum, the Innovation department is currently testing fully compostable banana protection sleeves. However, they must be more resistant, just like the compostable bags found in supermarket fruit and vegetable aisles. Various customers have already expressed their interest in these alternative solutions that resonate with consumers. Committed to an eco-design strategy, Compagnie Fruitière is studying other processes and actions in order to develop an increasingly sustainable and eco-responsible agriculture. Bananas are fragile fruits that require a lot of care and inspections from flowering to consumption. The journey and life of an elegant fruit. Every day in Africa and Latin America, expert hands cultivate banana trees, which are transient but productive plants. Bananas, which are harvested all year round, are fast-growing (about 9 months) perennial fruits. Although there are now more than 1,000 varieties, Cavendish dessert bananas account for more than half of the world’s production. Soft, sweet, immaculate and pampered, a Cavendish can pass through the hands of more than fifty people before landing on our plates. Five months after planting the cuttings or shoots, flowering starts on a trunk essentially composed of rolled leaves. Then comes the banana cluster comprising “hands”, the bunches, and “fingers” which are the fruits. Bananas are sensitive to cold, wind, temperature variations, mould, insects and shocks and require a lot of gentleness and care. Growers bustle about in plantations where the soil is regularly drained. They remove dead leaves, measure, fertilise, remove pistils and parasites, stake the trees, while checking for latex drips and tracking parasites or fungi. They also do not forget to remove the suckers that form at the foot of the parent plant threatening the survival of the banana tree. This is called suckering. Incidentally, at harvest time, only one successor sucker will be preserved. Around the sixth month, the clusters are protected with a sheath. This protective bag also creates a micro-climate conducive to fruit growth. Once the bananas have reached the desired size and enter the sleeping phase naturally, the sheaths are removed and separators are placed between each hand. This period during which the fruits slow down their respiration and therefore their ripening, is often compared to a form of hibernation. This is the time when the harvest can begin. Cut manually with a sharp gesture, the clusters, which produce up to 250 bananas, are carried over the shoulder and gently placed in bins suspended from cables running through the plantation. Once at the packing station, they are then cut into bunches, soaked and rubbed in an aluminium sulphate bath to remove any latex residue or stubborn insect. 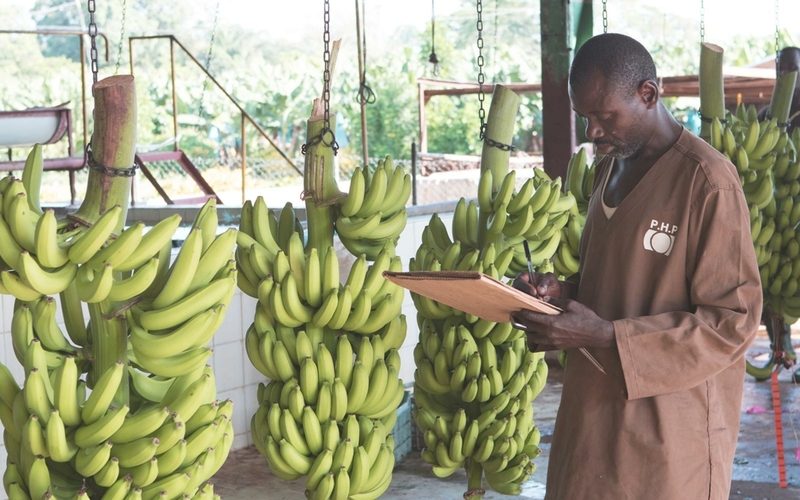 The aesthetic quality of the still-green bananas is inspected by graders before packaging. Those destined for the European market must meet strict standards in terms of size, morphology and colorimetry. Those that do not conform are immediately discarded. After having been sorted, weighed and labelled, the compliant bunches are then carefully placed in perforated and aerated boxes. Quality checkers then check the information displayed on the packages, such as category, final destination and traceability code. The packages are then placed on pallets which also have bar codes. Once they arrive at the port of departure, the pallets leave in closed and ventilated cold rooms, where the temperature ranges from 13° to 14°. They will travel under these conditions so that their sleep phase will be extended for the duration of the journey. For example, bananas produced in Africa by the Société de Culture Bananière (SCB), one of Compagnie Fruitière’s subsidiaries, are first loaded onto ships in Douala, Cameroon, then in Abidjan, Côte d’Ivoire. Transport, which can last between 10 and 15 days, is just as important as the soil of the plantations and the sunshine or the humidity all year round. Thermometers and fans keep green bananas asleep in ship holds. A simple variation of a few tenths of a degree could trigger a too-rapid ripening, or conversely, cause curls due to the cold. Once landed in European ports, 3% of the packages (about 250 pallets) are examined in minute detail to check whether the size, curvature and even the white of the flesh conform to European standards and the indicated category. Checks are also made to ensure the fruit does not have damaged crowns or traces of latex. Before being delivered to traders, the fruit must still resume their ripening cycle, placed in a ripening room. In a few days, in an atmosphere controlled at about 17°, the starch is transformed into sugar, the skin turns yellow and the flesh softens. The bananas delivered to customers, which are delicious but still fragile, must be carefully extracted from their carton one bunch at a time. When stored outside a refrigerator, they can then retain their beautiful ochre colour and sweet taste for a week.